Kirsten Lawson and I were at it again. She has to stop going away. I had to do another review and I had been dying to get to Morning Glory since I first popped in when it opened in September. I love the idea of "all-day dining". Breakfast is a chore when you have to drag yourself out of bed into your own kitchen and tip something from a box into a bowl. But when someone else is doing the cooking, and there are eggs and bacon involved, it's my idea of heaven. But apparently, not only is ordering food from the bar a no no, so are cafes and places without a substantial wine list; you can't possibly review a breakfast venue, she told me before she jetted off on a holiday where undoubtedly she'd be eating fancy breakfasts in some fancy hotel. Luckily, the wine list at Morning Glory convinced her that this wouldn't be a pointless exercise. It's quite impressive. A couple of sparklings, two rosés, whites include a Half-Moon pinot gris from Braidwood and a Ravensworth riesling. There's a local red too, a syrah nouveau from Mada Wines at Murrumbateman. Throw in an international sampling from France, Spain and Italy to round out the list and it was enough for her to give me the go ahead. Unluckily for me, I'm there at 9am and even I can't bring myself to drink wine that early in the day. So instead we start with a bloody mary. I have visions of a blood red concoction, very '70s, so I'm kind of thrown when it comes out a deep purple (which ironically, is very '70s as well). It's beetroot juice, not tomato, with mezcal, not vodka, and a shot of horseradish gives the whole thing a hearty kick. It's a little too strong for me, but grows on me with every sip, funny that. Who starts their day like this, I wonder? And then, when an elderly couple sit down at the table next to us, without even ordering, they are served a couple of bloody marys. I do this a little. Observe other diners. Apologies if you've ever sat next to me in a restaurant, it's highly likely that I've listened in to a conversation, developed food envy watching what you've ordered. I'm sorry. But this couple were familiar to the attentive waitstaff at Morning Glory, perhaps they live in a swish apartment upstairs in New Acton somewhere, and pop in for breakfast regularly. That was the story I'd given him by the end of the morning anyway. There were a few other tables full at 9am, some obvious business meetings, with laptops sharing space on the table with plates of food. Apparently we'd missed the 8am rush, when there's still time for a decent feed before work beckons. We're seated in the sunroom, which overlooks the lush green courtyard outside, but at the other end of the restaurant is the takeaway section – again Kirsten would be horrified – where there's a constant stream of people getting coffees and perhaps a sampling from the takeaway menu which includes a kaya toastie ($10), the topping of sugar, coconut milk and eggs sandwiched with some matured goat's cheese; or a bowl of granola (a mixture of buckwheat, millet, coconut, almonds and berries) with a generous quenelle of pumpkin lassi ($14). Also on the takeaway menu is the egg and bacon roll ($14) and it's the first thing we order off the menu. Kirsten would be horrified that I'm about to review an egg and bacon roll, but as the chief barbecuer on school rugby days I feel as though I am more than qualified. There's an art. You have to be able to pick it up and take a bite without feeling as though it's all too much. The egg has to be cooked well enough so you don't wear it down your shirt. The bacon cooked well enough so that it breaks, rather than tears, as you bite. This humble option is the most delicious egg and bacon roll I have ever eaten. I have some inside knowledge. 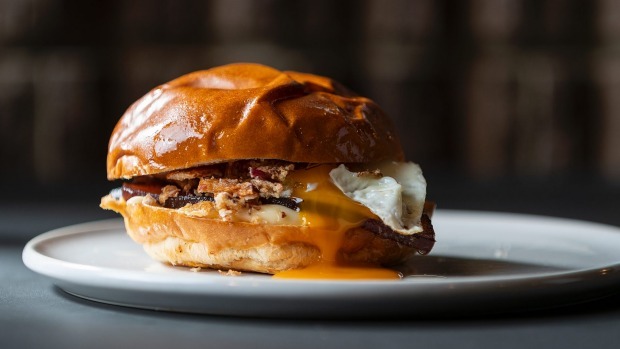 The Morning Glory team went to Richard Odell to develop a signature bacon, glazed in a char sui sauce – it's sublime, sweet and salty at the same time. I leave wanting to be able to buy it by the kilo from Odell's Griffith Butchery. 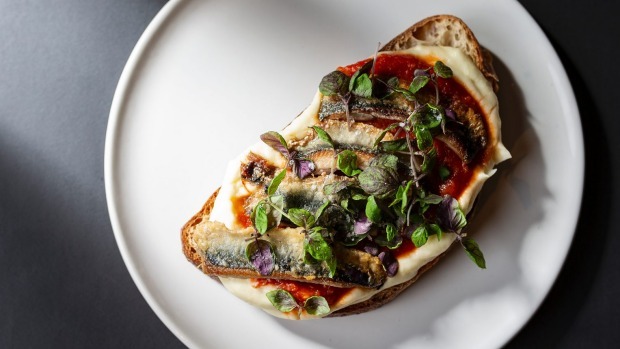 While it feels indulgent to have a few courses at breakfast, we also order the sardines ($18) and the xiu mai ($18), serves large enough to fill, but more fun to share. Sardines are something I've always wanted to eat more of, unsure how to cook them at home, so when I see them on a menu I'll try them. Here they are served on celeriac puree, with a spicy tomato sauce on a slice of rye. They're fishy, but not overpowering; perhaps, if anything, the spicy tomato sauce does the overpowering here, not allowing the clean fish flavours to shine. Xiu mai are little chicken and veal meatballs. 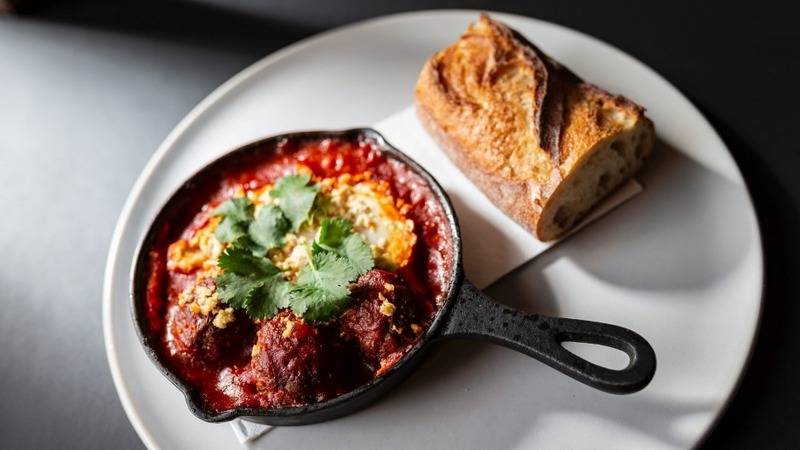 Served in a gorgeous little cast iron skillet with a generous slice of sourdough, the meatballs themselves are moist and full of flavour. There's an egg cracked in the middle, cooked to runny, with a tomato sugo, and the addition of tofu brings an interesting texture. I want to go back to Morning Glory and eat everything on the menu. I want to try their version of eggs and soldiers ($18) and the black sesame waffle with a milk tea cream, berries and a wafer of white chocolate – breakfast staples given a neat twist to take them beyond the everyday. I also want to go back at lunch, when I can look at the wine list in all seriousness, and try the Hainanese chicken wrap ($22) or the lamb rump with fermented red tofu, smoked potato, and the eponymous morning glory, a type of water spinach. I also want them to stay open later than 3pm, so I can sit in that sunroom when the westerly sun drops late on a warm summer evening, and imbibe in their concept of all-day dining. 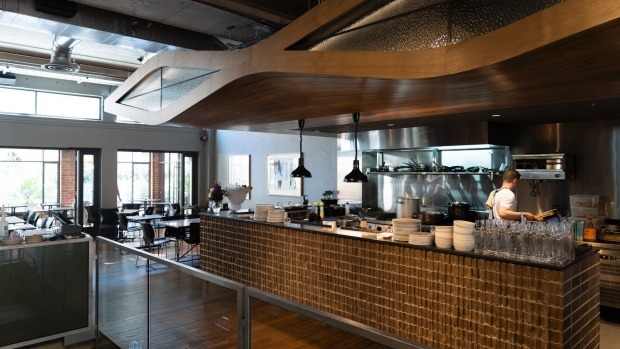 From the food, to the ambience, to the service, Morning Glory is definitely not a place that only does breakfast and lunch. It goes well beyond that.